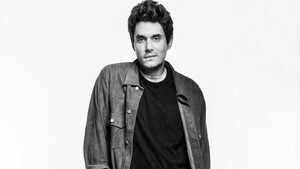 Fairfield native and Grammy Award-winning singer/songwriter John Mayer recently helped to ensure that people living with HIV/AIDS in lower Fairfield County continue to receive high-quality services. Family Centers has received a $25,000 grant from the Back To You Fund of Fairfield County’s Community Foundation (FCCF) – Mayer’s donor-advised fund – for its Stamford CARES program. The grant was made at Mayer’s suggestion and comes at a critical time as HIV/AIDS initiatives nationwide are experiencing funding challenges. Stamford CARES offers a host of counseling and education services to help children and adults with HIV/AIDS lead healthier, more productive lives. The program is staffed by trained therapists, family counselors and medical case workers. Services include case management, emergency financial assistance, support groups and referral services. Stamford CARES also oversees all HIV/AIDS prevention services in the Stamford area. The Back to You Fund is John Mayer’s donor advised fund at the Fairfield County Community Foundation and was established in 2003. Simply put, it was created so John could give back. John donates a portion of the proceeds from each show he performs to the Back To You Fund, which was set up to allow the Grammy-winner the opportunity to support various local charities. Many of the charities that receive Back to You funding have a specific focus on keeping arts programs alive for kids in the community. In addition to the focus on arts programs, some of the other organizations that have received grants in the past include local community centers, homeless shelters, domestic violence programs, food banks, as well as programs serving people with HIV/AIDS.